House martins like to nest against steep rocks. Although the Netherlands doesn't have much natural rock, house martins are very content here. Instead of rocky walls, they build their nests against houses. They make a ball from clay under the eaves, with the opening on the top. 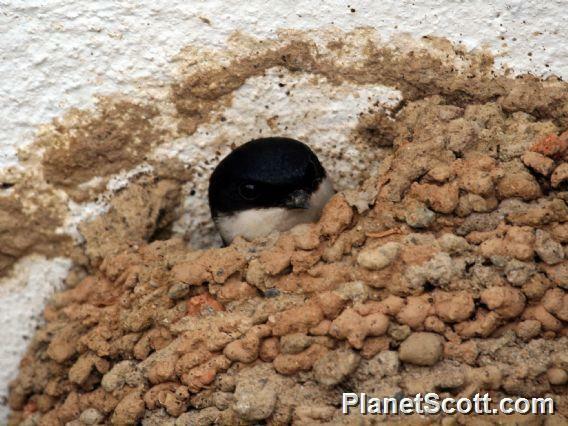 House martins often live in colonies. There can be dozens together during a good year. After nesting, all of the house martins migrate to Africa, returning again in April or May. At bus station in Anamur.